leaders by production and export of sunflower oil are Russia, Ukraine, and Argentina. 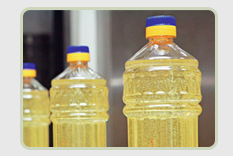 They produce more than a half of world amount of oil and export almost 90 % of sunflower oil. Sunflower is a monocyclic plant of aster family. Sunflower seeds are used for production of sunflower oil and margarine. Wastes of sunflower seeds processing are press cake and oil cake which are used as high-protein fodder additives in animal-breeding. Sunflower seeds contain minerals, phospholipids, fat acids, vitamin PP, vitamin E, and have high feeding and biological value. Chemical composition of sunflower seeds is specified in table 1.